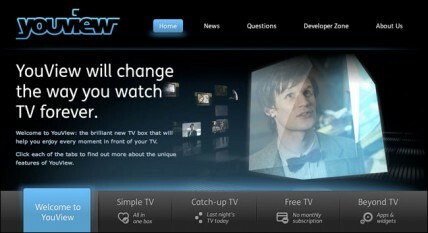 YouView, the internet television service from the BBC, ITV, Channel 4, and Channel Five that brings Freeview channels and on-demand services to people’s TVs via the internet has launched in the UK. The service, previously known as “Project Canvas”, was developed after the regulators decided to kill off a similar previous project dubbed “Project Kangaroo” and launch in 2010, but it has seen numerous delays that some analysts believe may have damaged its chances of success. At this point there remains no real competition to the service, however, with STV looking to add content to the service soon and Sky saying it will add some content from its NowTV service with access to premium movies, sport, and entertainment in the future. the project’s non-executive chairman, noted that he would not be surprised if that fell to £99 in a couple of years. But this Humax box requires an extra dongle for wireless internet connection – something which may well slow adoption along with the steep price. There is the possibility that the service could become bundled with internet connected “smart TVs” in the future though, or even offered as an update to older models – which could mean people will not need to purchase any additional equipment to use the service. At launch YouView offers access to more than 100 digital TV and radio channels, including some in HD, with the company saying that a further 300 content providers have expressed interest in joining the system. Importantly, the launch was delivered before the start of the London 2012 Olympic Games – a service which will make greater use of digital systems than ever before.